Announcement: In Preparation of the 50th Birthday celebration of the Speaker of the House of Representatives, Rt. Hon. Yakubu Dogara, a Charity football match is to be played on Dec. 17, 2017. Announcer: Sen. Philip Aduda for friends of Rt. Hon. Yakubu Dogara. ​Niger Delta Development Commission Act (Amendment) Bill, 2017 (HB. 1252) (Senate) — First Reading. Constitution of the Federal Republic of Nigeria, 1999 (Alteration) Bill, 2017 (HB. 1253) (Hon. Aminu Sani Jaji) — First Reading. Constitution of the Federal Republic of Nigeria, 1999 (Alteration) Bill, 2017 (HR. 1254) (Hon. Uzoma Nkem-Abonta) — First Reading. Abuja Broadcasting Corporation (Establishment, etc.) Bill, 2017 (HB. 1255) (Hon. Uzoma Nkem-Abonta) — First Reading. “That the House do receive the Report of the Committees on Finance, Appropriations, Aids, Loans and Debt Management, Legislative Budget and Research, and National Planning and Economic Development on the 2018-2020 Medium Term Expenditure Framework (MTEF) and Fiscal Strategy Paper (FSP)” (Referred: 22/10/2017). Hon. Ibrahim Babangida moved to present the Report, Hon. Raphael Igbokwe seconded it. “That the House do receive the Report of the Committee on Sports on a Bill for an Act to Repeal the Nigerian Football Association Act, Cap. N110, Laws of the Federation of Nigeria, 2004 and Re-Enact the Nigeria Football Federation Act to Provide for the Administration of the Game of Football in Nigeria; and for Other Related Matters (HB. 587)” (Referred: 24/5/2017). “That the House do receive the Report of the Committee on Sports on a Bill for an Act to Establish the Nigeria Sports Anti-Doping Agency Responsible for Carrying on the Functions of Nigeria Anti-Doping Organization as Enshrined in the World Anti-Doping Code in Accordance with the various International Standards; and for Other Related Matters (HB. 1012)” (Referred: 23/3/2017). “That the House do receive the Report of the Committees on Petroleum Resources (Upstream), and Public Procurement on the Investigation into the $260 Million Contract Awarded by the National Petroleum Investment Management Services (NAPIMS) (HR. 53/2016)” (Referred: 24/2/2016). ​A Bill for an Act to Authorize the issue from the Consolidated Revenue Fund of the Federation, the total sum of ₦8,612,236,953,214 (Eight Trillion, Six Hundred and Twelve Billion, Two Hundred and Thirty-Six Million, Nine Hundred and Fifty-Three Thousand, Two Hundred and Fourteen Naira) only, of which ₦456,458,654,074 (Four Hundred and Fifty-Six Billion, Four Hundred and Fifty-Eight Million, Six Hundred and Fifty-Four Thousand, Seventy-Four Naira) only, is for Statutory Transfers, ₦2,233,835,365,699 (Two Trillion, Two Hundred and Thirty-Three Billion, Eight Hundred and Thirty-Five Million, Three Hundred and Sixty-Five Thousand, Six Hundred and Ninety-Nine Naira) only, is for Debt Service, ₦3,494,277,820,219 (Three Trillion, Four Hundred Ninety-Four Billion, Two Hundred and Seventy-Seven Million, Eight Hundred and Twenty-Thousand, Two Hundred and Nineteen Naira) only, is for Recurrent (Non-Debt) Expenditure while the sum of ₦2,427,665,113,222 (Two Trillion, Four Hundred and Twenty-Seven Billion, Six Hundred and Sixty-Five Million, One Hundred and Thirteen Thousand, Two Hundred and Twenty-Two Naira) only, is for contribution to the Development Fund for Capital Expenditure for the year ending 31 December, 2018 (HB. 1207) (Fourth Allotted Day) (House Leader) — Second Reading. Hon. Femi Gbajabiamila moved for the continuation of the Debate, Hon. Orker Jev seconded it. Hon. Sani Zorro commended the Executive for the timely presentation of the budget, but expressed worry about the modeling of the budget, as a former Assistant on Financing and Budgeting, he stated that the assumptions on which the 2018 budget is predicated is not scientific, but merely a repetition of what has transpired from previous years. He asked for a critical look into all sectors of the budget. He also queried the funding of critical projects form estimates of the budget, he stated that that was not standard international practice. He wondered why the Minister of Power, Works and Housing has not brought his experience as former Governor of Lagos State into the Ministry of Works in the area of road construction. He expressed worry at the low percentage of budget implementation coming from the 2017 budget. Hon. Musa Sarkin Ada urged proactivity in treating the budget, he urged for thorough analysis of the items captured therein. He pointed out that if the Legislation was involved in the preparation process, the misgivings that characterize the exercise would not be there. He asked for the introduction of timelines divided into quarters of the year 2018 for implementations of the Appropriated funds, and penalties should be applied for MDAs who default. Hon. Faruk Umar wondered why there wasn’t a continual increase in budget implementation percentage, instead what continues to transpire is reductions. He also stated that the Nigerian economy which is expected to diversify heavily into the line of agriculture is almost totally silent on agricultural development in the putting together of the 2018 budget. Hon. Abiodun Balogun urged patience on the part of Nigerians, stating that it is right to be skeptical, but the indices show optimism and with the right approach, the 2018 budget can be achieved. He advocated however that for the 2018 budget to be achievable, peace in the Niger Delta region should be maintained. He also urged for seriousness in agricultural production and processing systems for food security. Hon. Chidi Frank stated that it is already clear that Nigeria needs to borrow to fund the 2018 budget completely, he advised assurance of peace in the Niger Delta region so that Oil production does not cease, to enhance fund accruing to Government and hence reduce the amounts borrowed. Hon. Jega Muhammed Umar stated that for the budget to succeed, indices such as education, security health and food production need to be ensured so that it can positively impact Nigerians. Hon. Shehu Shagari commended the budget on the allocation to the Judiciary and expressed the hope that the monies should be allocated to sectors that will ensure speedy dispensation of Justice. He urged that the infrastructure section of the economy should be focused on. The question was put for the Bill be read a second time, it was passed for second reading, the Clerk read the Long Title and it was referred to the Committee on Appropriations and other Committees. “That the House, pursuant to Order Nineteen, Rule 8 (2) of the Standing Orders of the House of Representatives, do admit into the Chamber Miss Aarinola Olaiya Blessing and Mr Abdulsalam Kamaldeen in recognition of their outstanding academic performance and sheer determination for success”. (iii) ​establish by law a Parliamentary Honours/Award System for recognition of extraordinary achievements by Nigerians. Hon. Femi Gbajabiamila noted with pride that while the world celebrated the Ronaldos and Messis of this world due to what they can do with their legs, he urged for Nigeria to celebrate Abdulsalam who has achieved his feat without legs despite the odds of losing his legs to polio at the tender age of 3 and losing his mother the very next year. He urged for commendations for him and Blessing Ariola who have broken Barriers in academics and overcoming environmental challenges to excel. Hon. Edward Pwajok joined in praising the achievements of the duo despite the challenging environments within which they excelled. He hoped that their achievements would inspire other young Nigerians to excel in their dreams. Hon. Lasun Yussuf stated that the duo gives him hope in the future of Nigeria that not all are crime and drug laden. He also praised the fact that Nigerian public schools can produce the likes of Blessing and Abdulsalam. He stated that all Nigerians can learn a thing or two from the young champions, he also stated that the respect accorded them in coming into Plenary on the Floor of the House should be a morale booster to them and other aspiring young Nigerians watching them. Hon. Sunday Adepoju commended them and plead with the authorities so that these bright minds are engaged for the good of Nigeria and not snatched by the diaspora as is the common practice. Hon. Oghuma Johnson stated that the Green Chamber in its achitectural design is not disability friendly and it showed clearly when Abdulsalam had to struggle to come into the Hallowed Chambers to be honored, he therefore pleaded for the structure to be modified to be accommodative to all. Hon. Saheed Fijabi on behalf of the Youth in Parliament praised the achievements to Blessing and Abdulsalam and urged all youth to emulate these shining lights. Hon. Yakubu Dogara charged the duo that even though they have shattered the glass ceiling, they have to do more to keep the torch of hope burning. The Motion was voted on and passed. (ii)​ commit the recommendation to the Committee of the Whole for reconsideration. Item stepped down by leave of the House for further clarification on the matter. (ii)​ mandate the Committee on Works to ensure implementation and report back in six (6) weeks for further legislative action. Hon. Muhammad Sani moved the Motion, Hon. Hassan Adamu Seconded it, as an infrastructure related Motion it was voted on and passed. Mandate the Committee on Constituency Outreach to investigate the poor/non execution of constituency projects under the National Primary Healthcare Development Agency (NPHCDA) from 2015 to date and report back within six (6) weeks for further legislative action. Hon. Betty Apiafi moved the Motion, Hon. Abiodun Balogun seconded it. Hon. Apiafi stated that complaints abound about the substandard nature of projects executed by contractors of the Constituency Projects, in some cases the projects are totally abandoned. She hoped and urged for a thorough Investigation by the relevant Committee of the House. Mandate the Committee on Petroleum Resources (Upstream) to investigate the matter and report back within three (3) weeks for further legislative action. Hon. Raphael Igbokwe moved the Motion, Hon. Aminu Maina seconded it. Hon. Igbokwe stated that as an Investigative Motion, he would not want to predicate the investigation, he hoped earnestly that the investigation would right the perceived injustice which has economic consequences of the Nigerian economy, the Oil Upstream sector to be precise. He stated that the outcome of the investigation will aid the Legislature during the PIB passage. He stated that the Motion seeks to promote transparency and accountability in the Public Sector. Hon. Sergius Ogun stated that it is time for the leakages in the export terminals of the oil sector to stop so Nigeria does not need to keep borrowing to fund budgets, the Navy has stated how the country loses huge sums to these ills, he urged for the speedy passage and execution of the tenets of the Motion. It was put to a vote and passed. Mandate all relevant Committees to ensure that Ministries, Departments and Agencies that have persistently disrespected the Resolutions of the House get zero allocations in the 2018 budget/legislative engagements until they comply with the Resolutions as they affect them. Hon. Nkem Abonta moved the Motion, Hon. Aminu Maina seconded it. Hon. Abonta stated that the Motion seeks principally to ensure the check and balances functions of the Legislature through oversight are not seen to be wasted when recommendations of the House Committees and resolutions of the House of Representatives is disregarded by Heads of Ministries, Departments and Agencies of Government who the Legislature Appropriates funds for in the first place. He wondered how M.D.As of Government who see the Legislature as partners during budget defense turn to foes during oversight aimed at implementation for the good of the Nigerian people. He noted the it is impossibility of a victim to refuse to comply with a Judge’s ruling, which is what is happening in this case. Hon. Rotimi Kayode expressed sadness at the trend of disregarding resolutions of the House of Representatives by the Executive, it means purely the lack of respect for Rule of Law. Hon. Nicolas Ossai stated that the Motion seeks to strengthen Section 88 to give bite, and not just bark to the resolutions of the House. Hon. Fulata Hassan stated that Agencies who continue to flout resolutions of the House of Representatives should be black listed when it comes to appropriating funds for them. Hon. 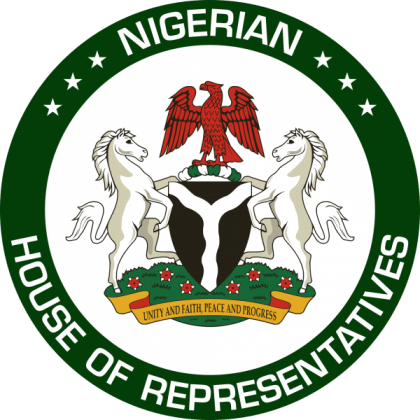 Wayo Benjamin stated that once a Resolution is passed on the Floor of the House of Representatives it represents the wishes of all people the House of Representatives represent, and it is sad that some Heads of Agencies will decide to just jettison those resolutions without blinking. Hon. Orker Jev stood to oppose the Motion on the ground of one of the Prayers that proposes zero allocation to erring M.D.As, he clarified that it was tantamount to shutting down Government as so many M.D.Asare affected. He reminded the Members that Resolutions of the House are opinions in fact and not Law. Hon. Nkem Abonta replied by reminding Hon. Orker Jev that the Prayer says they should get zero allocation UNTIL THEY COMPLY. Hon. Yussuf Lasun stated that the House Committee on Legislative Compliance should be let to take leading action and exhaust all Legislative procedures and not to throw a blanket on zero allocation of budgetary funds. Speaker of the House, Rt. Hon. Yakubu Dogara stated that it is possible to withhold funds to M.D.As if they err with Legislative resolutions persistently, but it is not in the spirit of national interest to do so. He urged the Committee on Legislative Compliance to keep doing its work and be unrelenting. The Motion was stepped down until the Chairman, House Committee on Legislative Compliance gives the House an official Report. The Speaker stated that Resolutions are not mare reasons, but are meant to be complied with so that Legislative work is not seen as wasted time. (iii)​mandate the Committee on Aviation to ensure implementation. Hon. Orker Jev moved to step aside the provisions of Order 12, Rule 3 to take the second and third reading of the Bill of N.D.D.C, Hon. Femi Gbajabiamila moved for the Second Reading of the Bill, Hon. Orker Jev seconded it. Hon. Femi Gbajabiamila stated that the Bill was a Bill emanating from the Senate for concurrence, it is a one line amendment to specify for percentage remittance from IOCs to N.N.P.C. He urged that this would encourage peace and reduce restiveness in the Niger Delta region. It was put to a vote, passed for Second Reading, the Clerk read the Long Title and it was referred to the Committee of the Whole. Hon. Femi Gbajabiamila then moved to lay the Report of the Bill, Hon. Orker Jev seconded it. (viii)​that a 3.5% growth rate be adopted, especially with the latest figures indicating a doubling of growth rate to 1.4% in third quarter, 2017. Hon. Ibrahim Babangida stated that after the necessary inter phasing of the Committee with relevant M.D.As on the subject matters, and after thorough cross checking, the Committee came up with the Report before the House. Hon. Betty Apafi stated that it was promised that monies recovered from looted funds would form most of the funding of the 2018 budget, but the MTEF Report seems to be silent on that. Hon. Ibrahim Babangida stated that it was mentioned for the 2017 budget, not the 2018, in the 2018 budget there was more talk on the use of proceeds of sale of privatized Government Assets. Recommendations 1-5 were voted on and Carried, Recommendation 6 was deleted and 7 & 8 were Carried. Hon. Ajayi Adeyinka stated that the Report emanate from a request from the Presidency for the 2017/2018 financial structure of borrowing for States in specifics, starting with Kaduna. The Committee decided to work in that light as it was easier to track and presented its recommendations before the House. Recommendations 1 & 2 were voted on and Carried. “That the House do consider the Report of the Committee on Electoral and Political Party Matters on a Bill for an Act to Establish the Electoral Offences Tribunal for the Purpose of trying Electoral Offences and to Establish the Nigerian Electoral Offences Commission charged with the Responsibility of Prohibition and Prosecution of Electoral Offences and for Related Matters (HBs 504 and 546) and approve the recommendations therein” (Laid: 27/7/2017). The House considered and approved Clauses 1-3 on the N.D.D.C Bill put forward for concurrence by the Leader of the House, Hon. Femi Gbajabiamila, Hon. Orker Jev then moved for its Third Reading, it was voted and passed after the Clerk read the Long Tittle. It then considered and amended the clauses in the Amendment Bill proposed by Hon. Aishatu Jibril Dukku for the Committee on Electoral and Political Party Matters? It amended clauses 8, 9, 12, 18, 25, 26, 30, 31, 33, 34, 35, 36, 38, 48, 49, 59, 63, 78, 85, 87, 90, 91, 99, 100, 106, 108, 118, 119, 152 & 156.